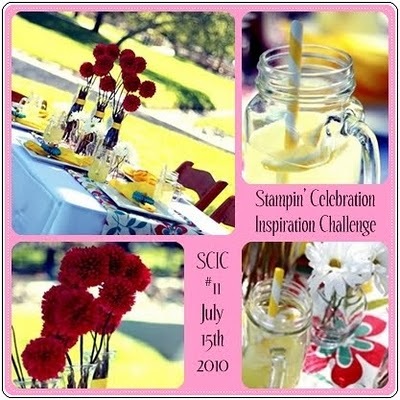 This week’s Stampin’ Celebration challenge is all about summer! If you haven’t played along with their challenges yet, why not give it a try? Each set of inspiration photos is full of great elements to get your creative ideas flowing! Very cool! For my card, I took inspiration from the lemonade, with the splashes of red and blue. Since I don’t have a yellow ink pad, I used yellow cardstock and a watermark ink pad to create the background for my card! The stamps I used are a margarita stamp by A Muse Art Stamps, letter stamps by Inkadinkado, flowers from Stampin’ Up’s “Eastern Blooms” set, and the lemon/lime/orange stamp from SU’s “Tart & Tangy” set. I used VersaMark watermark ink for the flowers and background, Real Red for the sentiment, and Chocolate Chip ink for the “frozen lemonade” drinks. I colored the drinks with a fine-tipped pen and a Stardust glitter pen. I embossed a strip of red cardstock with the Lattice folder in the Big Shot. Thanks very much for looking at my card…I hope you’ll play along with Stampin’ Celebration! 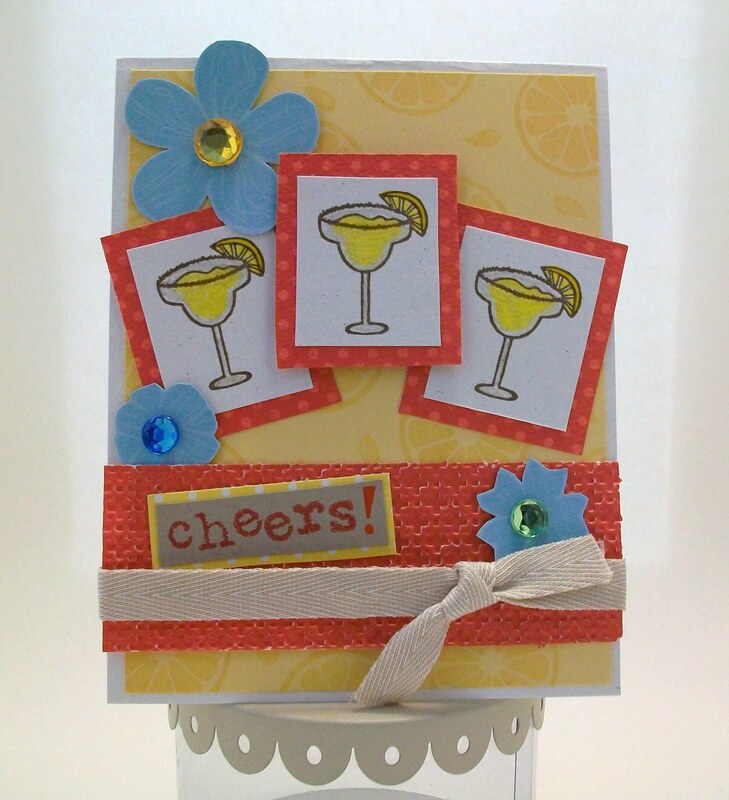 Another beautiful card Suzanne… I just love seeing what you create every week. Those margaritas look yummy! Thanks for playing along with us for the SCIC this week! What a fun card! Looks yummy! Woo! Hoo! You made the Top 3 at the SCIC!! I love your card!! So many fun details and textures. What a great mix of stamp sets too. Thanks for playing along with us! !